How does your mug make you feel when you pick it up? Does it make you feel powerful like the God of Thunder after taking the first sip of your drink? or does it just make you feel… sort of nothing? 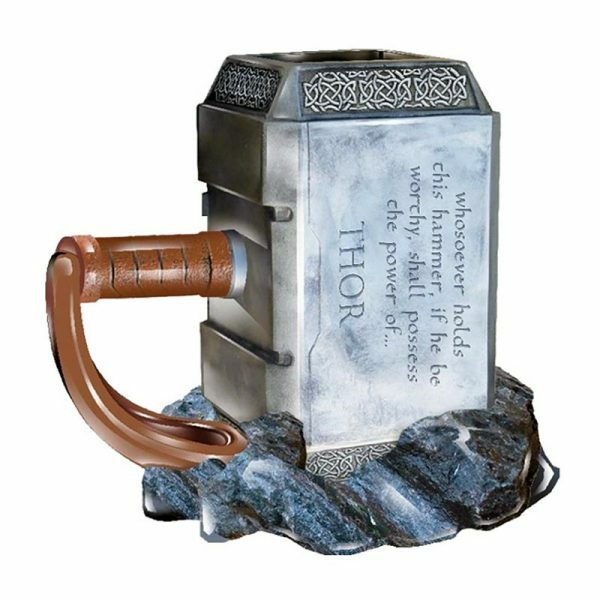 But now, with this Premium Sculpted Ceramic Mjolnir Thor Mug… a thunderous feeling could be a reality! Well, it doesn’t have to be that way! What if we told you that you could feel like the Norse God of Thunder each and every time that you pick up your mug for a sip of your drink? That’s right! 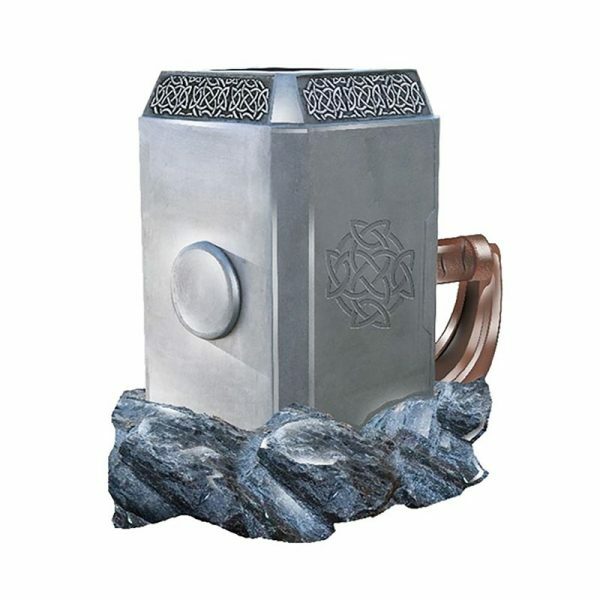 This Mjolnir Thor Mug is shaped like his hammer Mjölnir – one of the most powerful weapon in the universe and it even has Odin’s iconic inscription on the side. Fill it with coffee, tea or even just water to feel the full might of Thor each and every time you pick it up! One of our favorite parts of the first Thor movie was when the God of Thunder got so pleased with a drink that threw the cup to the ground, smashing it to pieces. It’s a move that felt decidedly viking but wildly out of place on a modern Earth, and it’s one of the film’s most fun moment. But the son of Odin wouldn’t be so careless as to smash this Mjolnir Thor Mug based on Thor’s hammer Mjölnir, regardless of the quality of the drink inside it. Also — can you believe it’s already been over eight years since the first Thor movie came out? That’s crazy.